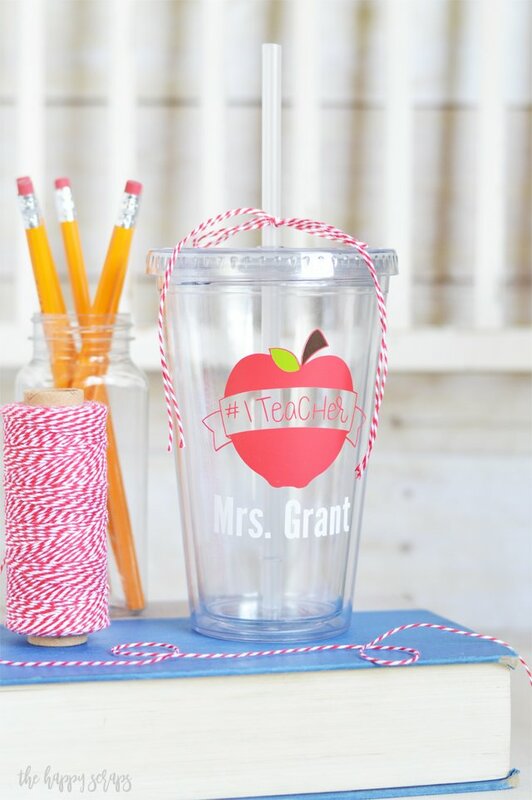 Teacher appreciation week is almost here! 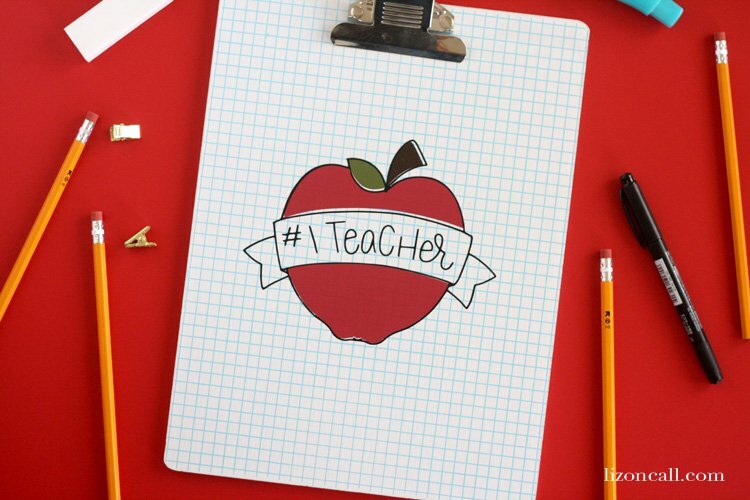 My talented friend Liz, from Liz on Call, created this fun #1 Teacher SVG file you can use to create an awesome teacher gift for the special teachers in your life. 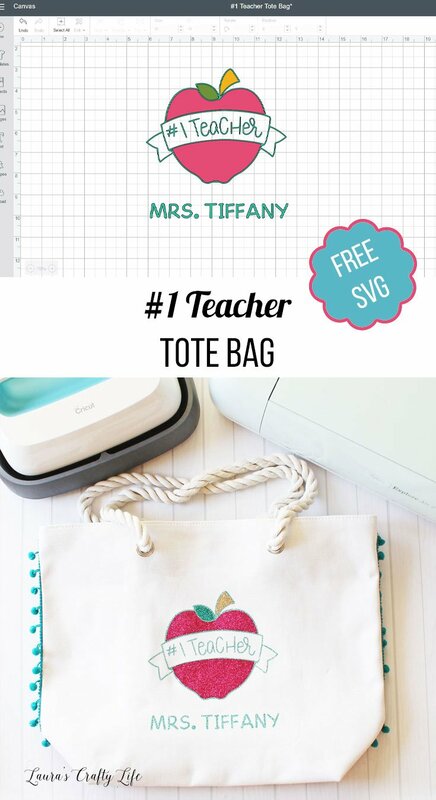 Start by heading over to Liz’s blog to get your free #1 Teacher SVG file. 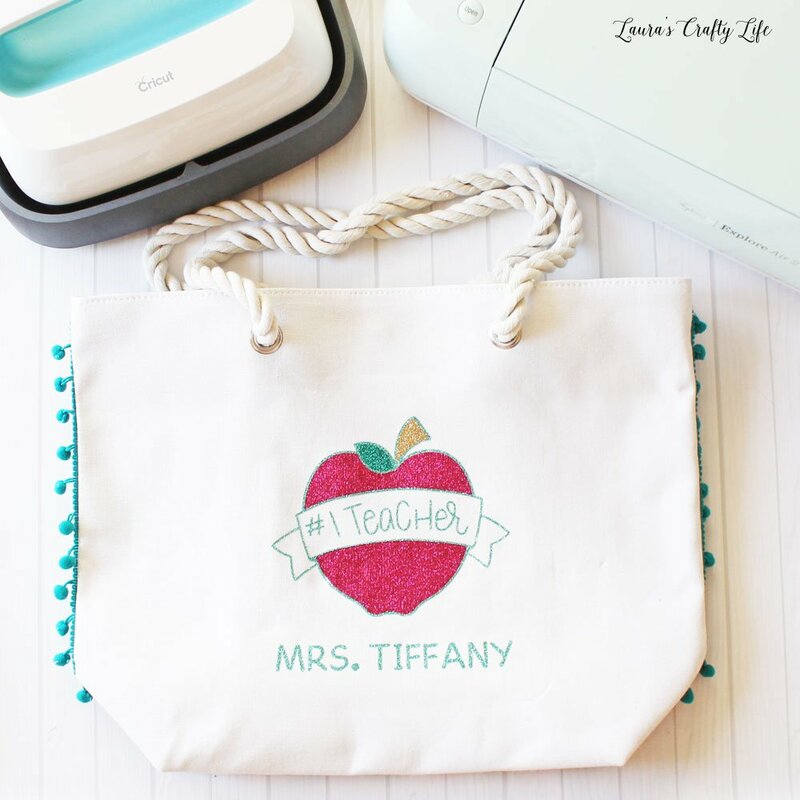 Upload the image into Cricut Design Space. 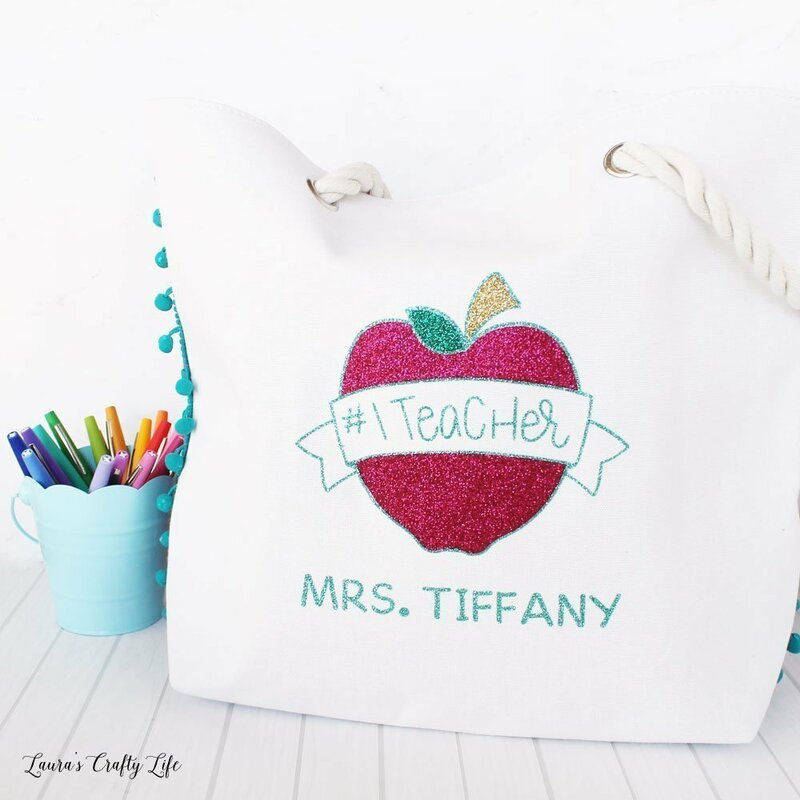 From here you can add personalization and change the colors to whatever you like! 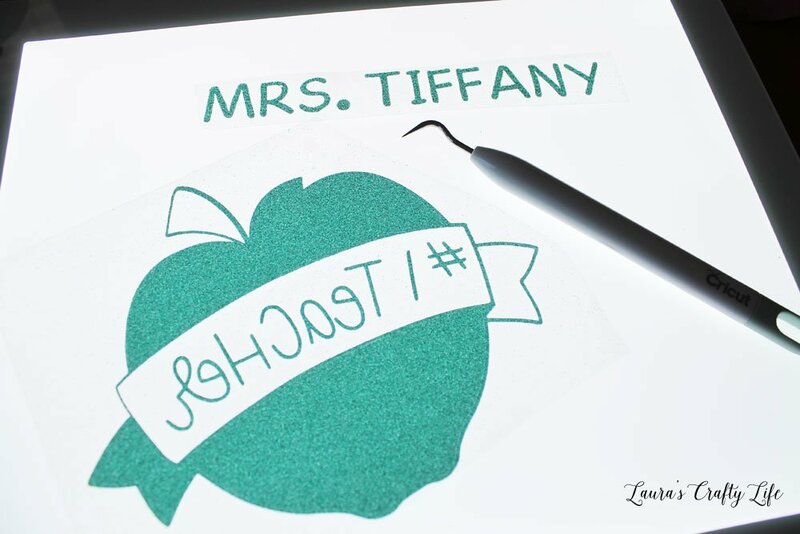 I also added the name of my daughter’s teacher using the Cricut Cartoon Script Com Roman font. Click the green Make It button. Since this design is being cut out of iron-on, we need to select Mirror-Image for each mat. Click the green Continue button. Set the Smart Set Dial to Custom and choose Glitter Iron-on from the drop-down menu. 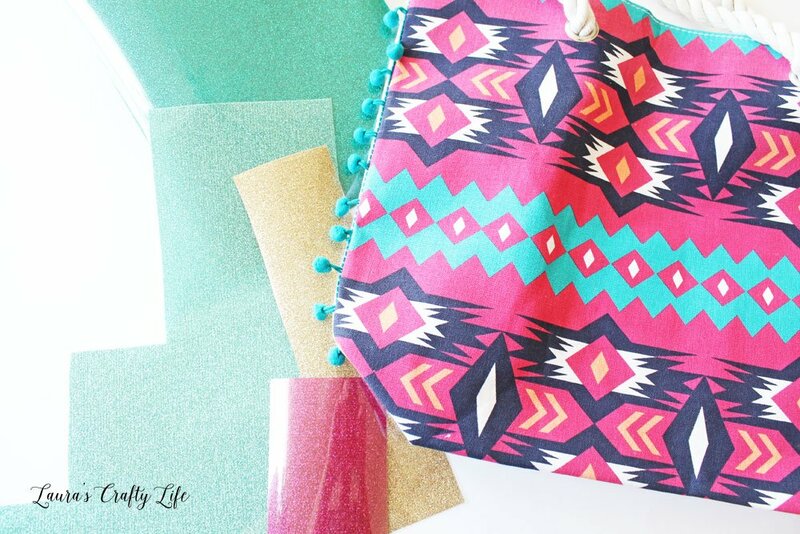 Cut out each of the pieces of the pattern using your Cricut machine. 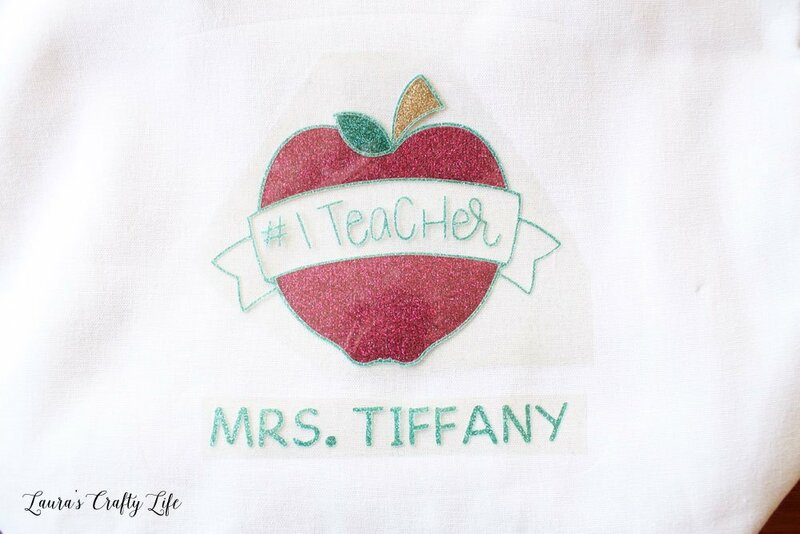 You can use the BrightPad to help you weed the glitter iron-on. It can be really hard to see. If you don’t have a BrightPad, working by a well-lit window can help you see the lines. I pulled the inside pieces of iron-on off the liner and carefully placed it on the teal outline. The liner is a little bit sticky, so I was able to position everything on the outline of the design. This was an easier way to get everything lined up than trying to make sure the other colors were lined up first. 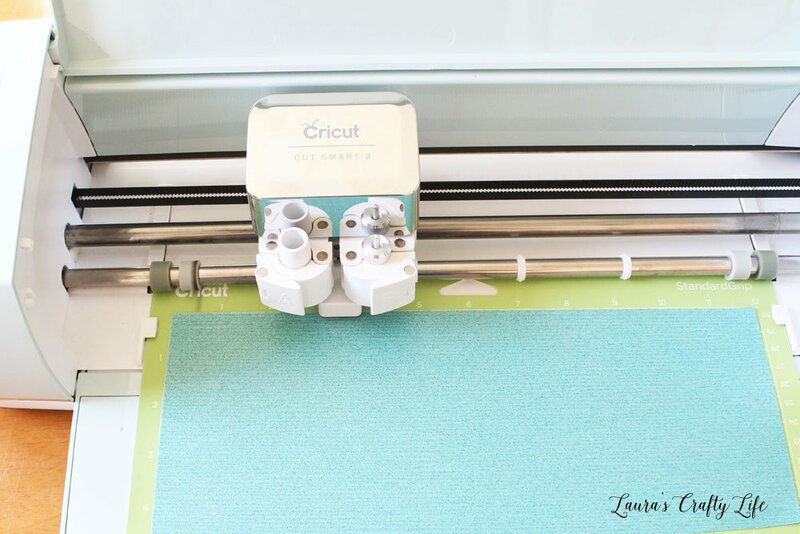 Use the Cricut EasyPress recommended settings guide to select the temperature and time for your particular bag. I chose the setting for the cotton canvas. Preheat for 5 seconds. Apply medium pressure at 270° for 30 seconds. Heat from the inside of the bag for 15 seconds. Peel off the liner while the design is still warm. Note: Using a lower temperature worked perfectly and I didn’t shrink the fabric or ruin the bag. This bag didn’t have a tag inside with the type of fabric, so in this case, I would always try a lower temperature first, then bump it up if needed. 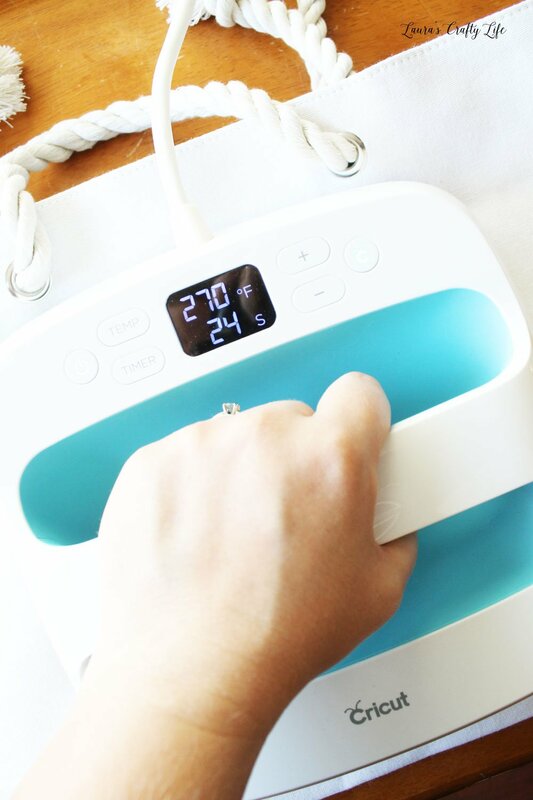 Warm peel the liner off of your design. This design is so cute! I love that I can personalize a useful gift for my daughter’s teacher. The #1 Teacher apple design is so versatile! Thank you to Liz for sharing her SVG file with all of us! Liz created an adorable clipboard using the same design. And my friend Amy at The Happy Scraps created a fun straw cup using the same design. 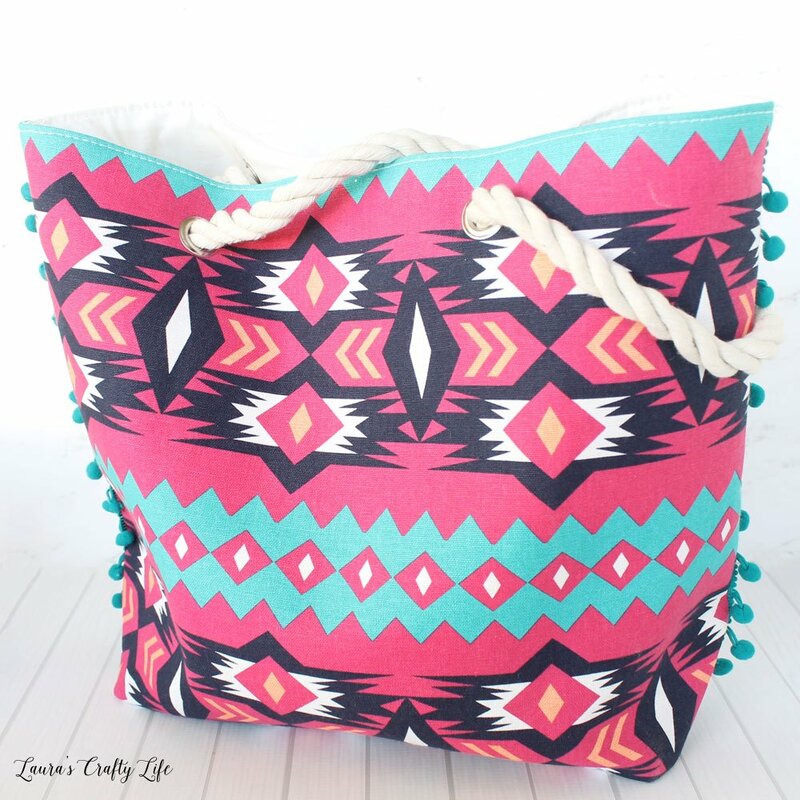 I love how your bag turned out and live that its reversible! Such a great gift! Thank you Amy! This bag I found was perfect for this project.